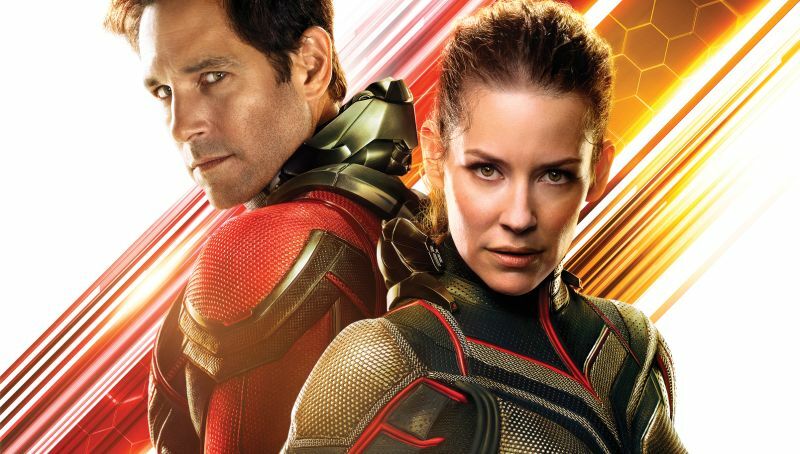 Walt Disney Pictures and Marvel Studios have released the DVD and Blu-Ray details for Ant-Man and The Wasp. The superhero blockbuster will be released digitally on October 2 and on DVD, Blu-Ray, and 4K on October 16. Extras will include a behind-the-scenes featurette, deleted scenes, and a hilarious gag reel. Check out the details and the release trailer in the player below! Exclusive extras provide an inside look at some of Marvel Comics’ most celebrated characters and the consummate, comedic actors who portray them in Ant-Man and The Wasp. Featurettes spotlight Paul Rudd, who returns as good-hearted thief turned hero, Scott Lang, and delivers big laughs both on set and in theaters; Evangeline Lilly, who transforms into The Wasp, the first female character to be featured in the title treatment of a Marvel Studios film; and iconic actors Michael Douglas and Michelle Pfeiffer as super couple Hank and Janet Van Dyne. Viewers can explore more about the visual development artists and effects used to bring the characters to life and drastically alter the size of the Super Heroes and their surroundings. Additional extras include deleted scenes, bloopers, outtakes, and audio commentary by “Ant-Man” franchise director Peyton Reed. Ant-Man and The Wasp comes packaged in several formats to best fit today’s varying consumer desires. Viewers can instantly bring home the film two weeks early on Digital SD/HD/4K Ultra HD and receive access to two exclusive features — including a clever commercial promoting a close-up look at the online magic school that FBI agent Jimmy Woo references to learn his card tricks and a 10 years of Marvel Studios featurette profiling the artists of the MCU — or they can purchase a physical copy of the film as either a Cinematic Universe Edition (4K Ultra HD, Blu-ray and Digital Code) or a Multi-Screen Edition (Blu-ray and Digital Code), granting the flexibility to watch the device of their choice. Director’s Intro by Peyton Reed – The talented creator behind some of Marvel Studios’ funniest and most charming films will invite home audiences deeper into the world of Ant-Man and The Wasp. Marvel’s Ant-Man and The Wasp is directed by Peyton Reed and produced by Kevin Feige, with Louis D’Esposito, Victoria Alonso, Stephen Broussard, Charles Newirth and Stan Lee serving as executive producers. 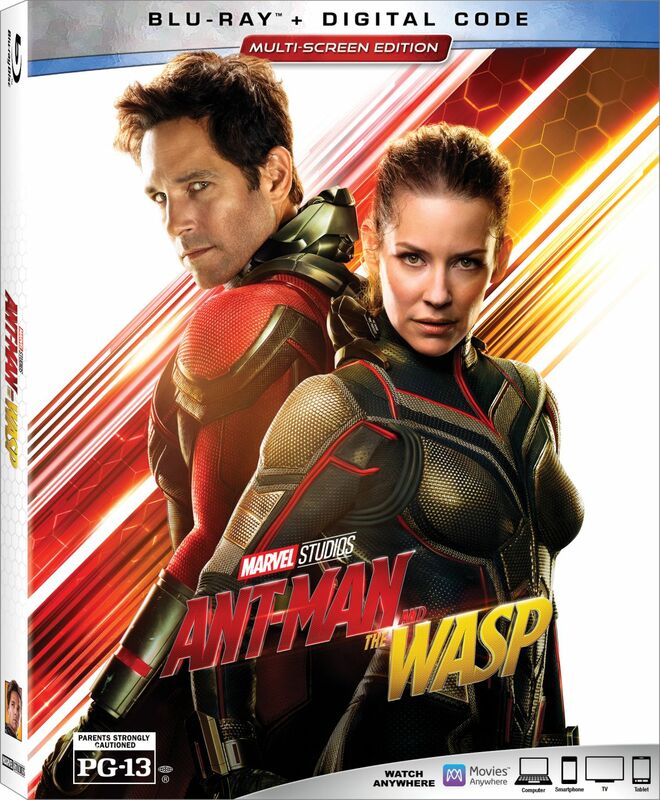 The post Ant-Man and The Wasp Blu-Ray and DVD Set for October Release appeared first on ComingSoon.net.